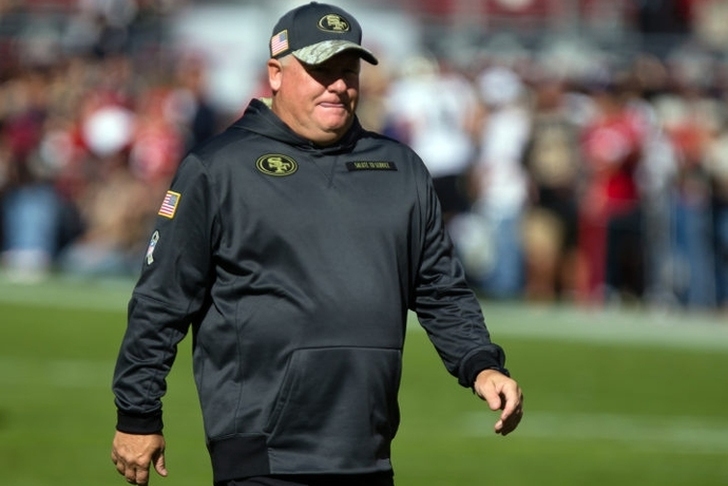 Chip Kelly is out of the running for the Florida Gators head coaching job, according to Yahoo! Sports' Pat Forde. Florida will likely turn their full attention to UCF head coach Scott Frost, who was a leading candidate for the job along with Kelly. However, the Gators do have some concerns about Frost and his ability to recruit at the SEC level. Florida has also expressed interest in Mississippi State head coach Dan Mullen, but he reiterated on Thursday that he has no plans to leave Starkville. USF head coach Charlie Strong is another backup option the Gators have their eye on. Florida Fans - Download Chat Sports on iPhone today for breaking Gators news, rumors, scores and more - Chat Sports iPhone App! This also means that Kelly will likely land at UCLA, should he decide to return to coaching this season. The Bruins met with Kelly on Tuesday. Follow our Florida Gators team page for all the latest Florida football rumors!